Easter Sunday night, April 5th, will be recorded by the Garinagu of Belize and abroad as the tragic night when their dabuyaba, their sacred temple, in Barranco was completely destroyed by fire, allegedly torched by a mentally challenged man from that village. Constructed by the Cayetano family in 1996, this thatched roof, wooden-walled structure was not only the largest and most dominant in Barranco. 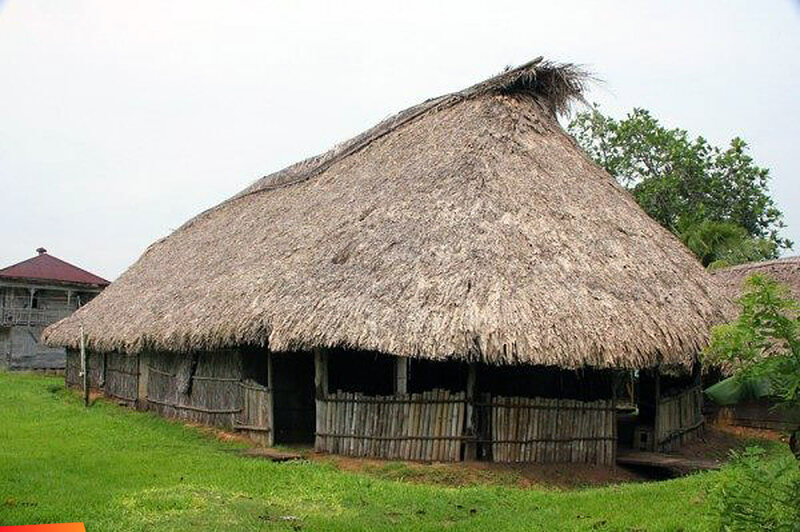 It was also one of the largest dabuyaba (if not the largest) among those in all Garifuna communities, including those in Honduras and Guatemala. In the traditional belief of the Garifuna, the construction of a dabuyaba is triggered by requests of the ancestors with specifications in accordance with centuries old traditions. The gathering of materials for the building, for example, involves a ritual of purification, including the incensing of the plot of land before construction. The building must face east towards the sea to welcome the morning light through its front door. Side doors face north and south. The west wall is completely closed while a partition including the west wall exclusively remains the inner sanctum, the dugeirugu, of the buyei. The center of the main open hall where family members gather is considered the heart of the dabuyaba. Despite this centuries-old African rooted spiritual tradition that has kept Garifuna communities together through most difficult times of their history, the increasing erosion of positive cultural values, the lack of economic opportunities, and the alienation of resources among the people of Barranco has been a troubling challenge for the community. There are Baragunas who say that, like many other rural communities, Barranco might have lost its self confidence to work together towards planning for and nurturing the type of community that they want. A charming quiet southernmost coastal community of Belize that once boasts of thriving food productivity and security, as well as caring support for one another, the people of Barranco seems to have been hurting silently while trying as best as they could to make ends meet, if even to leave the village reluctantly as the population continues to decline. When a community is systematically beaten down by the ravages of poverty, alienation, lack of economic opportunities and an increasing sense of loss of hope, it can turn on itself to self-destruct. It does no good when divisions are programmed into the collective consciousness through politics, religion, and socioeconomic class. The harm of deep divisions are often strong barriers that block the building of confidence, creativity and productivity for upliftment and development. The prospecting of oil and clandestine logging concessions in lands within and adjacent the community, as well as antagonistic church affiliations all have a mixed impact on a once happier community. As always, the shameless marketing of alcohol to vulnerable populations - during increased evidence of drinking, alcoholism, and its negative impact on families - only adds to further destruction of the individual and community. Though not a matter to be taken lightly, the tragic destruction of the sacred temple is perhaps an opportunity for deeper reflection and for the people of Barranco to heal, re-connect, and rebuild those values that once cohesively held the community together like a caring family. Out of ashes of a forest new growth always emerges, with roots strengthened by the very ash of its former self. Perhaps the destruction of the sacred can also lead to a glorious return. The end of a day is the beginning of a new one. As plans are being made to construct a new dabuyaba structure, this may well be a chance for Barranco to also aim at rebuilding the dabuyaba within the hearts and minds of the people. This tragedy could very well be the opportunity for healing divisions, reigniting new consciousness and opportunities, and a return of soul force in Barranco - the community that once sufficiently fed itself and produced outstanding educators such as Theodore Palacio, Victor Nicholas, Dr. Joe Palacio, Roy Cayetano and Dr. Harriet Scarborough; renowned UN Ambassador for Peace and Garifuna musician Andy Palacio; painter, Benjamin Nicholas; regionally recognized IDB officers, Harold Arzu and Evan Cayetano; among several others scattered over Belize and the diaspora. 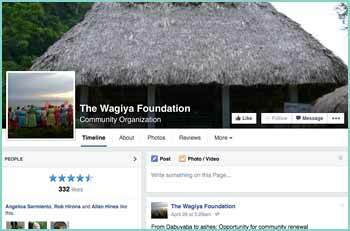 Many diaspora Barangunas often speak with nostalgic pride about growing up there. The rebuilding of the dabuyaba might very well be the foundation opportunity for Barranco to boldly reclaim itself – socially, culturally, economically and spiritually – with confidence to seize its future. Just as there will be elaborate ritual to invoke sacredness to the structure through all stages of its construction, so should also be the rebuilding of the people’s positive healing reconnections with self, nature and one another. If not done by this current generation of Baranguna elders and youths, who will - now and in times to come? And if not now, when?